– Has someone ever told you that you are not good enough? – How did you feel when someone told you that you are not good enough? If you haven’t been told this, how would you feel, then, if you experience this? Writers – Internalize the character of Alyce—particularly when she was still a nameless, homeless girl. Penetrate her thoughts during the time she was in the dung heap. If her mind could talk during that time, what things would she have said about her family? About her destiny? What do you think was she thinking to encourage/discourage herself given her state? About how she perceives and assesses her state? Write down her thoughts on a white cartolina. Actors – Portray your own version of how Alyce was found by Jane. Picture the conversation, the body gestures and facial expressions, and the intonation that Jane had at that time. Then, do a segue—have someone else (not a character in the novel) suddenly pop in the middle of the scene to interview Jane at that exact moment. Prepare at least three questions for the interviewer to ask. Visual Artists – If you could design a book cover based on what you have read as of now, what images would the book cover contain? Illustrate your answer on a half sheet of cartolina. Again, gather everyone in a circle. Have the students close their eyes as you orally set the mood and atmosphere of the circle activity by describing in vivid detail the situation of Alyce when she was found in the dung heap. Do this carefully and thoroughly. You can have some background music to enhance the imagination and picturing of details in the minds of the students. Then, ask the students (who are in the character of Alyce) to think of one sentence that they would want to shout to the world as they (she) lay helpless in the dung heap. After one minute of think time, instruct the students to shout out their sentences one by one. Emphasize to them that even though they are asked to shout, it doesn’t mean that the emotion they should feel is one of anger. The shout can be of joy, sorrow, anger, anguish, frustration, etc. After everyone has shouted, process the activity by asking them why they “reacted" that way to their “situation." 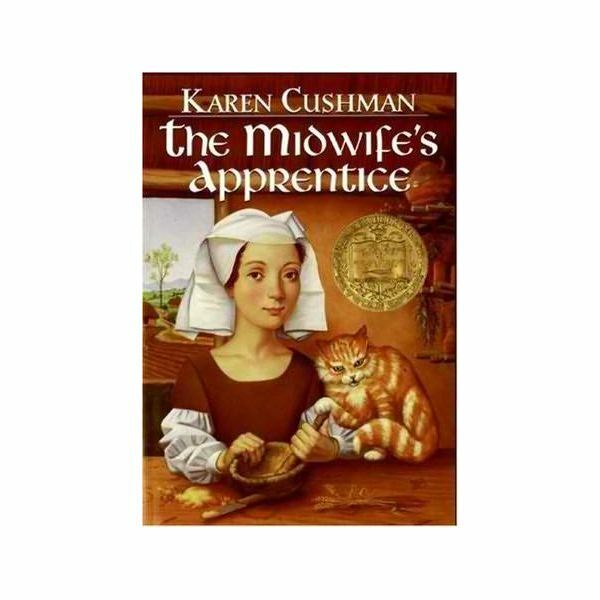 The key to creating The Midwife's Apprentice lessons is to make the students connect with the characters through theme discussions. It is during these enactment strategies that the students are able to turn their being detached to the novel into being one with the thoughts and feelings of the characters.